Jaipur-based Qriyo Infolabs Pvt. Ltd, which runs home tutor provider Qriyo, has raised an undisclosed amount in Series A funding from Dubai-based investor Neelesh Bhatnagar’s NB Ventures. The company will use the funds to expand operations to Chandigarh, enhance offerings for personalised competitive exams preparation and get more tutors on board, it said in a statement. Qriyo earlier connected users with freelance fitness instructors. However, it recently pivoted to become a marketplace for home tutors. 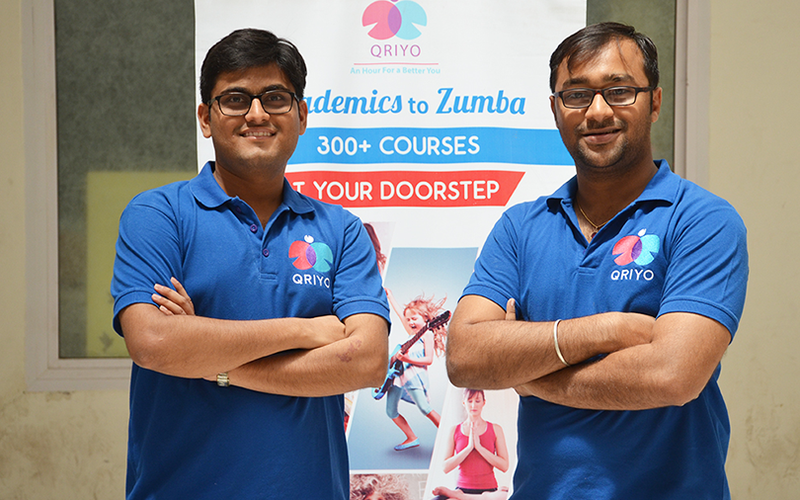 Founded in 2015 by IIT-Bombay alumni Mudit Jain and Rishabh Jain, Qriyo is an app-based platform that provides home tutors for more than 300 courses. The startup provides end-to-end delivery, tracking and progress report for all courses taught by home tutors. It provides tutors for academics, yoga, dance, music, and fitness. The platform has separate apps for tutors and students. The tutors have to undergo an evaluation before they can join the platform. The customer app enables students to check tutors, give feedback, track attendance, renew and pay for classes. The company's match-making algorithm attempts to automate the tutor selection process. Qriyo also provides tutors and instructors to schools, institutes and summer camps. The platform currently has more than 8,000 tutors in Jaipur, Jodhpur, Udaipur and Ahmedabad. It claims to have more than 2,500 customers with over 50,000 hours of teaching delivered via its platform. The company had raised $160,000 (Rs 1.09 crore then) in seed funding from UAE-based early-stage venture capital firm Idein Ventures in January 2016. The startup makes money by charging a commission to tutors. Qriyo has a 62% renewal rate and 30% upselling, Mudit Jain claimed. The share of organic business stands at 60% and is increasing every month, he said. “We are making conventional home tuition agency business truly scalable. Many tutors are making 5-digit remuneration by just teaching a few hours of tuitions,” Mudit added. The company claimed that it was already profitable in two cities, and its 30% month-on-month growth in terms of sales and tutor on-boarding was likely to continue for the next 6-9 months. Bhatnagar’s previous investments include Bangalore-based startups HealthifyMe and LetsTransport. He is also a joint owner of the Dubai team of Indian Tennis Premier League (ITPL), along with cricketer Virat Kohli. Bhatnagar was one of the shareholders of Landmark Group and former CEO of Emax and Landmark Arabia.